It's almost as if you could hear the hammering and earth-moving without let-up last month. Figures released by the Commerce Department show construction of privately-owned housing shot up 25.5% in October to a seasonally adjusted annual rate of 1,323,000. That rate is also 23.3% higher than October 2015. The increase was broad-based, with the Northeast, Midwest, South, and West rising 44.8%, 44.1%, 17.9%, and 23.2%, respectively. Groundbreaking for single-family housing jumped 10.7% to a rate of 869,000 -- the highest level since October 2007. The October rate for multifamily units was 445,000, up 68.8% from September. "Multifamily production bounced back after an unusually weak reading last month while single-family starts exhibited unusually strong growth as well," said National Association of Home Builders Chief Economist Robert Dietz. "Though October's single- and multifamily production rates are clearly unsustainable, we expect continued growth in the housing sector in the months ahead." 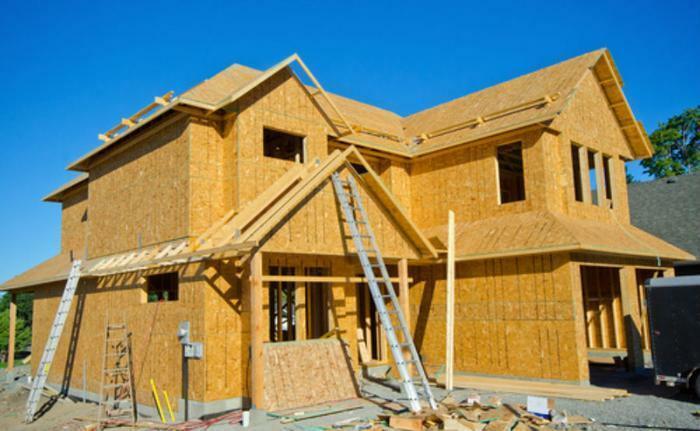 Indeed, while the current rate of housing starts is unlikely to continue, the outlook for new-home construction in the months ahead is fairly encouraging. Issuance of building permits was up 0.3% last month to a seasonally adjusted annual rate of 1,229,000. Authorizations for single-family homes were at a rate of 762,000 -- 2.7% above the September level, while permits for multifamily units fell 3.3% to a rate of 439,000.